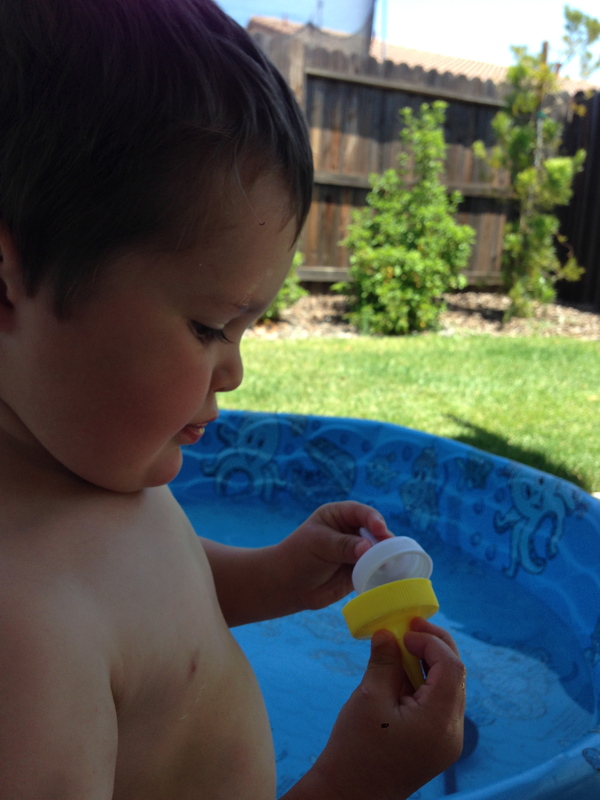 I’ve discovered that the best summer toys are the simplest ones. 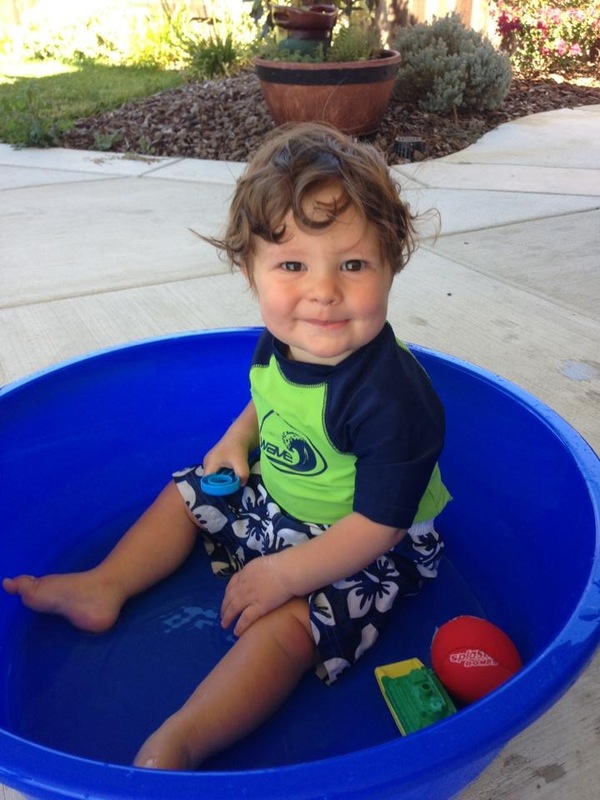 These tubs, for example, are awesome. I can’t even begin to tell you all of the different ways the boys have used them. 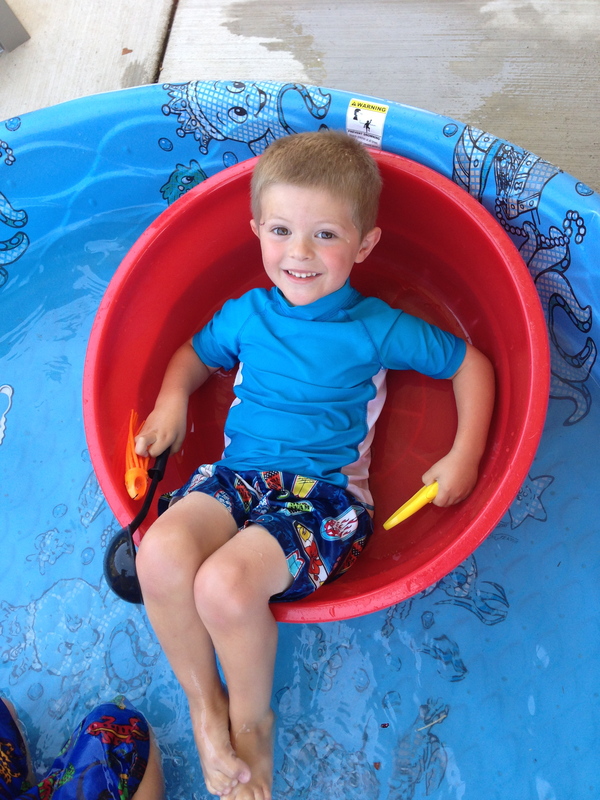 Last year, it was a baby pool, Justus to splash around in, a private pool for him where he could stay safe (away from the big boys’ crazy pool splashing) but still have some water fun. and generally a place to have one’s own space away from whatever is going on. Brilliant. I absolutely got my money’s worth out of these beauties. 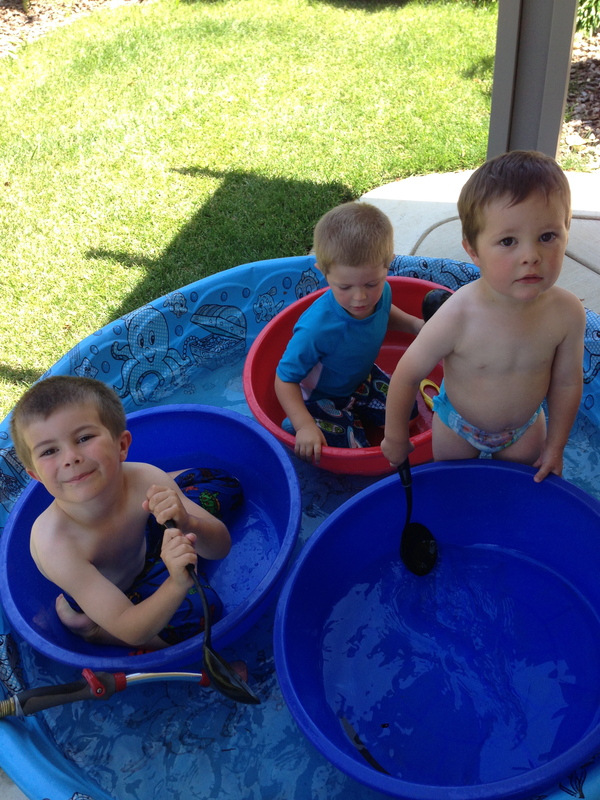 And the boys never seem to grow tired of them! 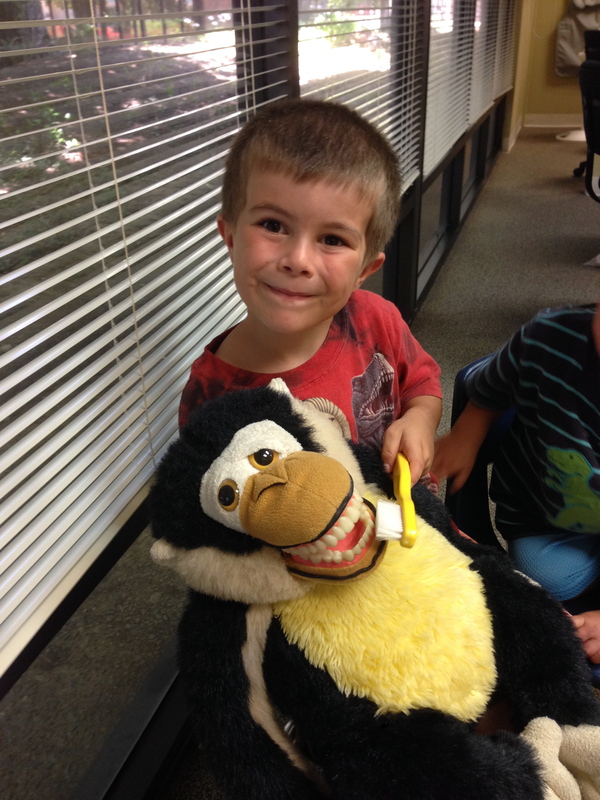 Another spectacular summer toy are these thrift store finds (or you can get them at the dollar store, too.) 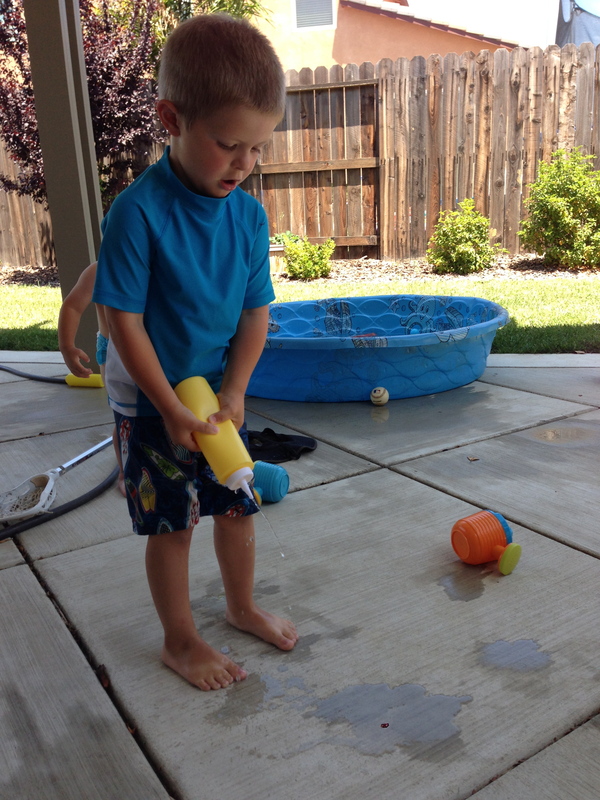 Three words for you: plastic condiments squirters! 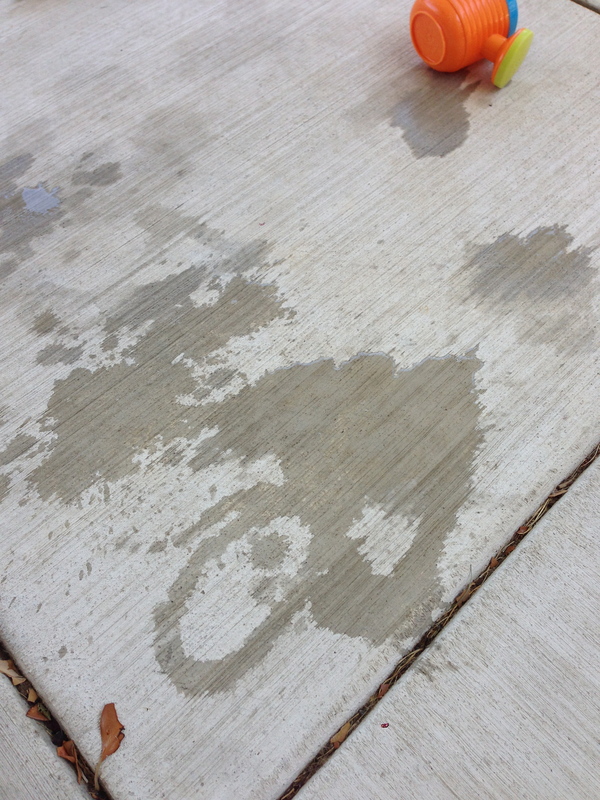 Not only do they work perfectly as water guns, but they are excellent tools for water art! 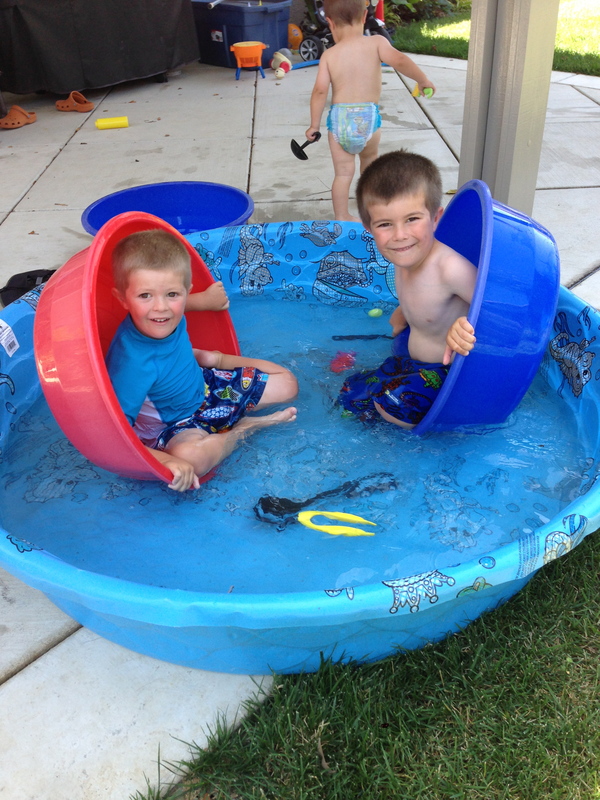 Or just take them apart to see how they work, examine them, and fill them up with water before dumping it. I love seeing how simple objects transform into so any different things! 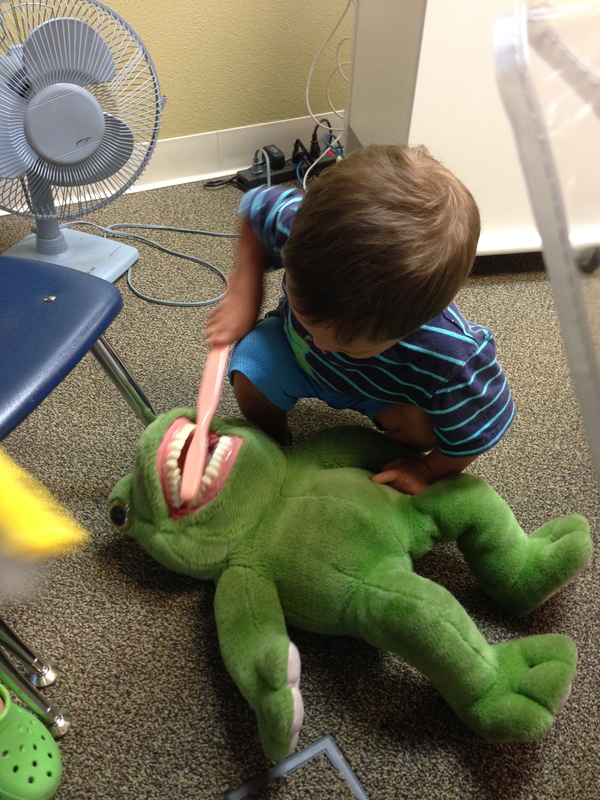 Isn’t a child’s imagination the greatest? 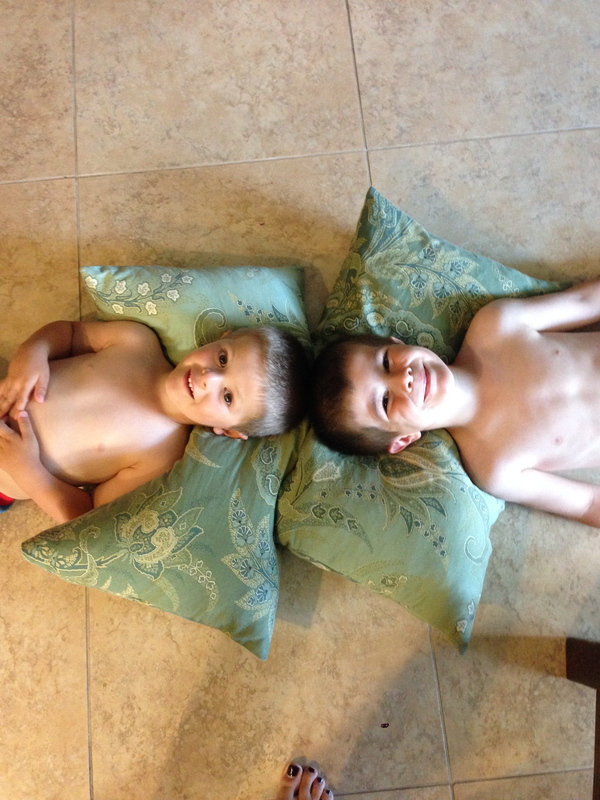 Watching them dream and explore the world around them…absolutely one of my favorite things about being a mom. For all my DIY friends out there, this one’s for you. One of my great loves in life is coffee, another is being creative. I love to paint, draw, and imagine what junk could look like with some help. I don’t do it nearly as often as I’d like, but I do get the chance and I should make the time for it. I haven’t done much furniture redo, but what I have done, I’ve really enjoyed. A lot. 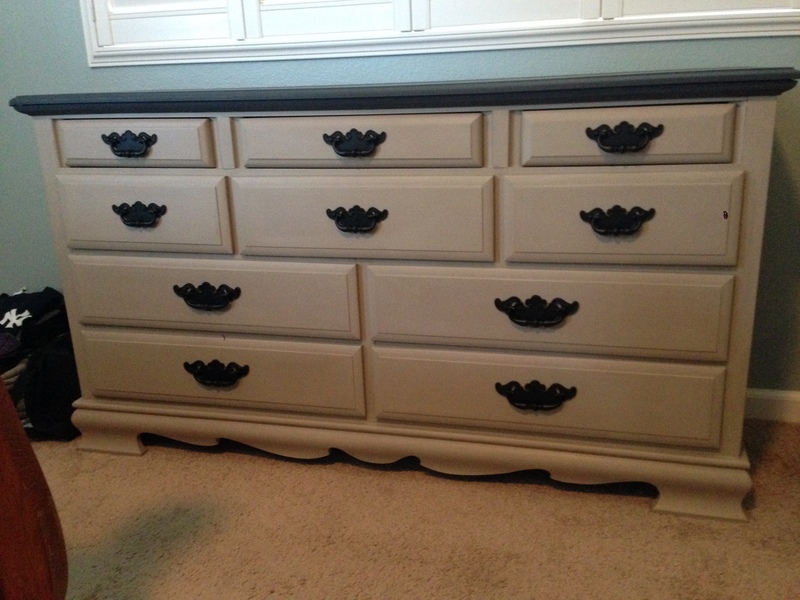 Last fall, I needed a new dresser and so I started scouring the buy/sell/trade sites locally. I didn’t want to pay a lot, I was hoping for a project, and it needed to be solid, since we move often, I can’t take chances with rickety things. I was also planning a big house-wide furniture swap out too, and it needed to be done before Christmas in order to fit a couple of new, bigger Christmas gifts the big boys were going to receive. 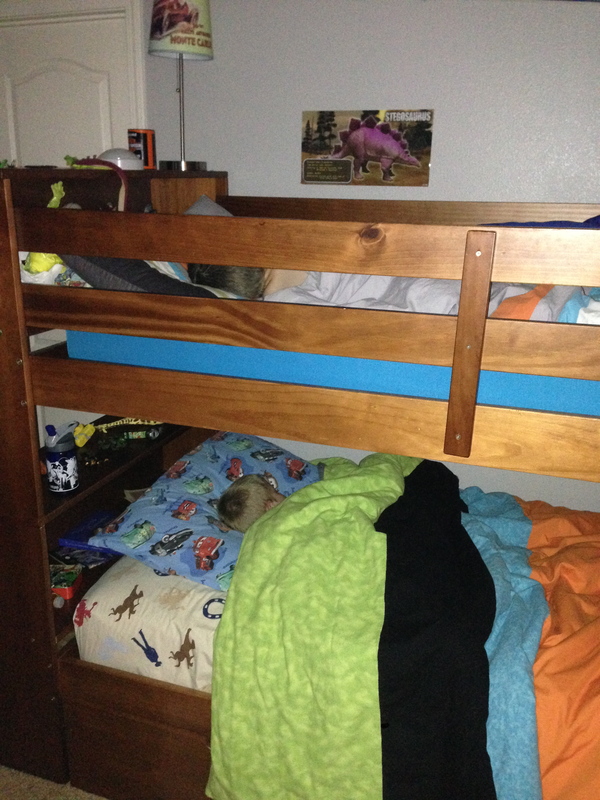 Because of dresser shapes and sizes, the boys needed my old dresser, Justus needed theirs, leaving me with…a need for a dresser. One day, I found this beauty and got it for $30. 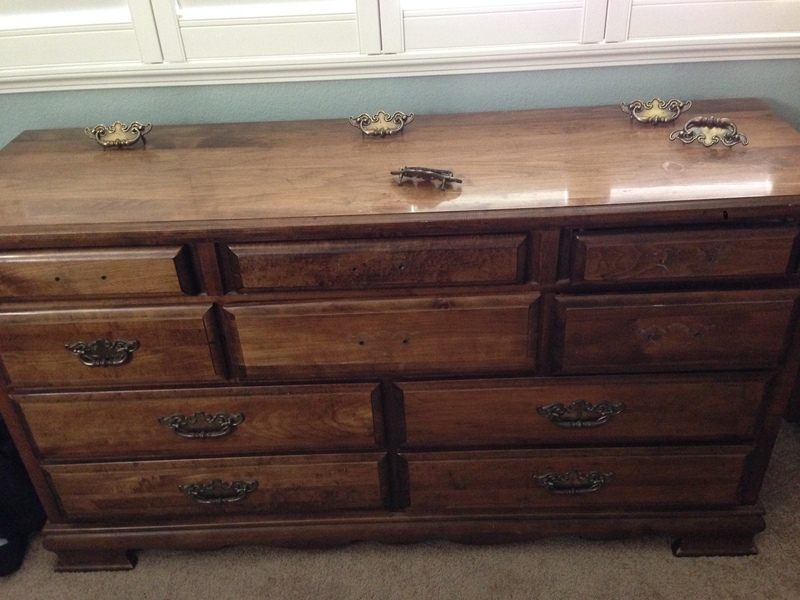 Solid wood, read: very heavy, and in near perfect condition! Not my style, but it fit the space perfectly, was exactly what I was looking for, and had gobs of potential, so I nabbed it. And I knew exactly what I would do to it. That was last fall. A month ago, I got to work. Knowing I’m moving in the fall is a great motivator for getting things done. I hate bringing unfinished projects with me to a new assignment. 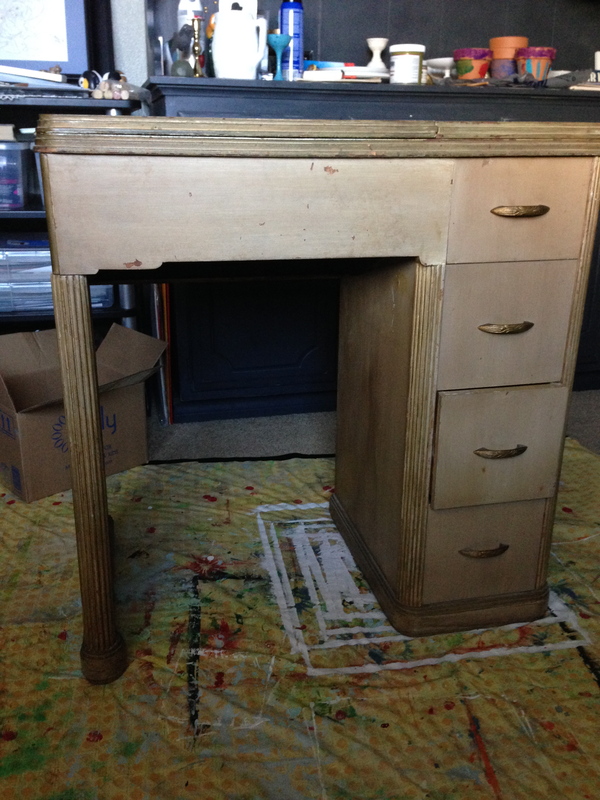 And speaking of unfinished projects, I needed to get a move on a new desk I found on the side of the road last spring. This little guy was so sad with a “FREE” sign on him, that I had to bring him home and give him a new home. Isn’t he cute? That’s right, a free desk, with vintage sewing machine and notions included (though unwanted.) 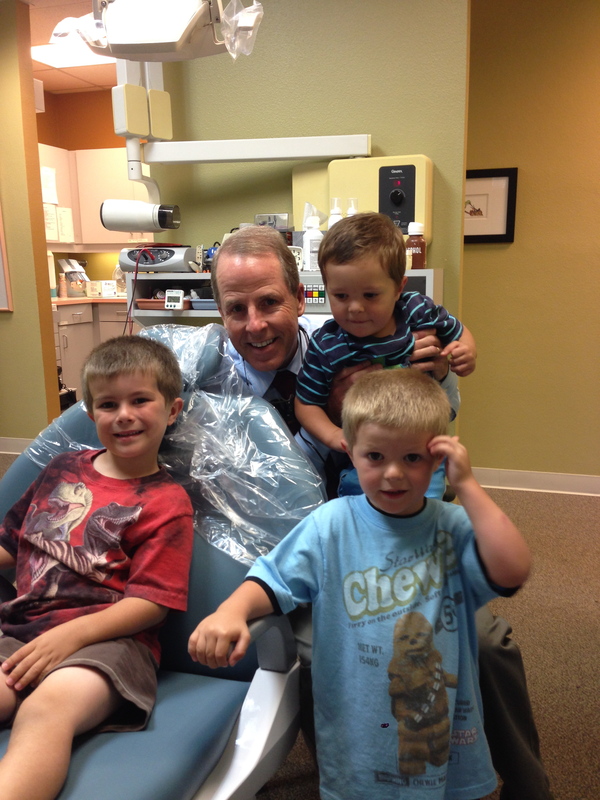 I picked a day, hired babysitters (a brother-sister team that the boys…and I…adore, win-win for all of us!) and I set to work on BOTH projects. 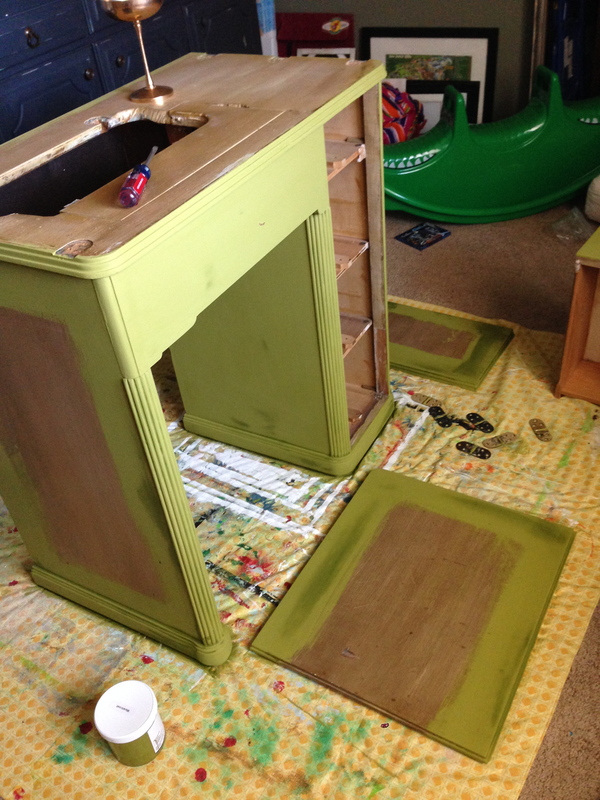 Why do one DIY project when you could do two at once? Yuck. Ugly. Outdated. Monstrosities. 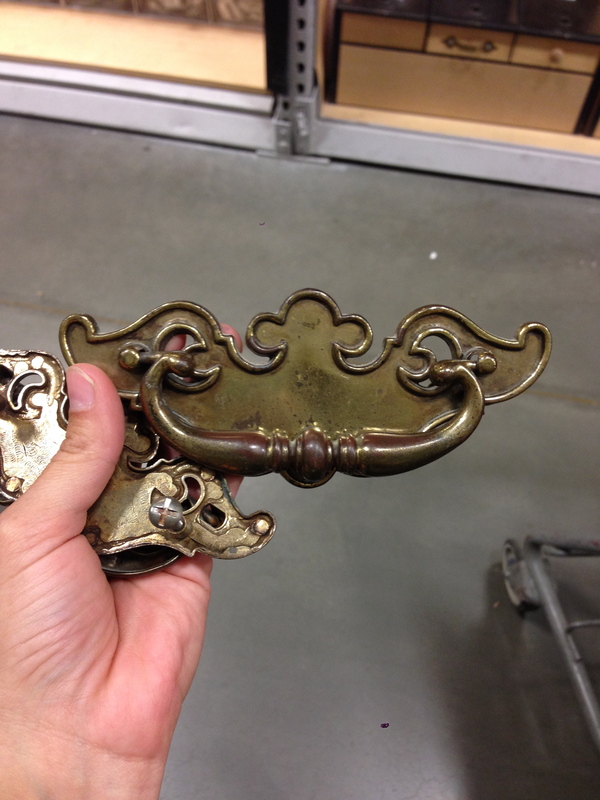 I couldn’t’ put those on my drawers, so I went looking for hardware and found nothing I loved or wanted to fork over the big bucks for (hardware is expensive!) So, I got my trusty black spray paint out and decided these would have to do. And, I actually LOVE how they turned out. Perfect, just what I wanted and didn’t realize! Ta da…the finished product! Gotta say, I think it turned out rather fabulously. I love it. Just as I pictured it in my head. But what about that desk, you ask? Well, I had seen something YEARS ago in a magazine of a drop leaf table with a vintage travel poster glued on leaf hanging down and have always loved the idea. But instead of a poster, I wanted maps. 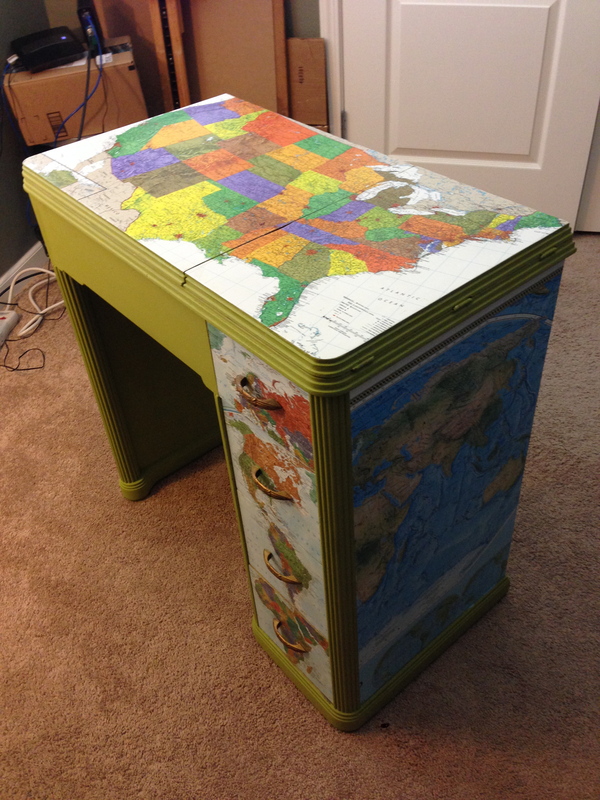 After I got the desk, I sent out a mass plea for old maps and my friends came through for me! I had tons of maps to choose from. So thank you! And with lots of prayer and mod podge, (this really should have been a 2 person job, it would have been much less panic inducing,) here is the finished product! Pretty sure this is my favorite piece I’ve ever redone. I absolutely love it. 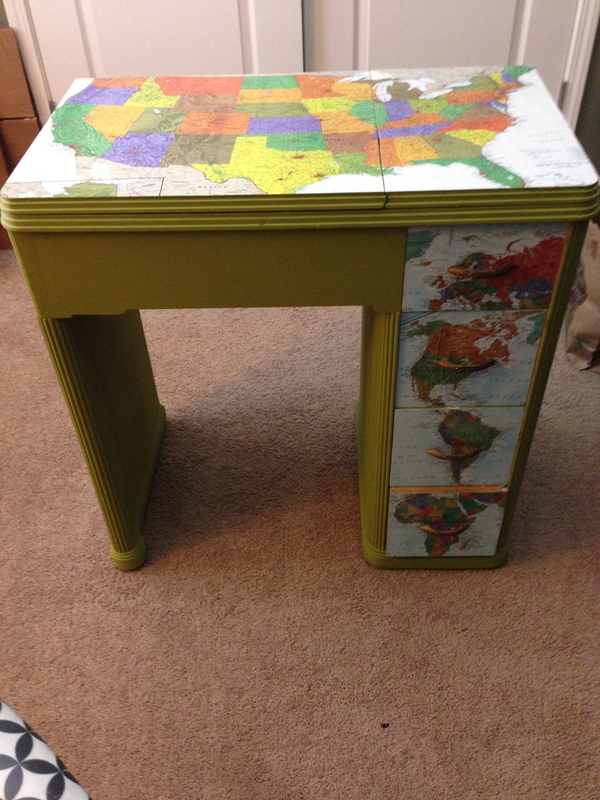 Free maps, free desk, and just the cost of paint has turned a boring old desk into fabulousness! We absolutely love it. The top flips open and eventually it’ll be hideaway storage once hubby helps with it. 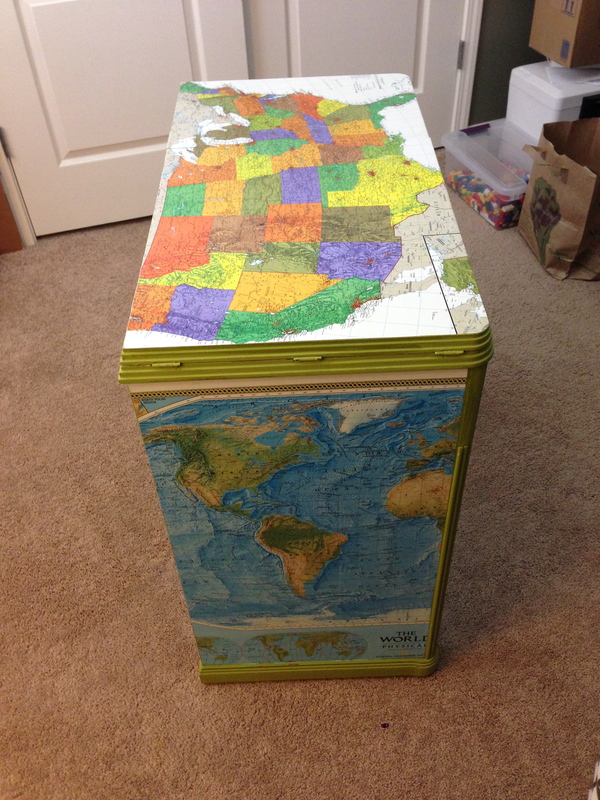 And I’d like to add some more maps to the back of it but I can’t quite decide. I can’t wait to see it in our new house. 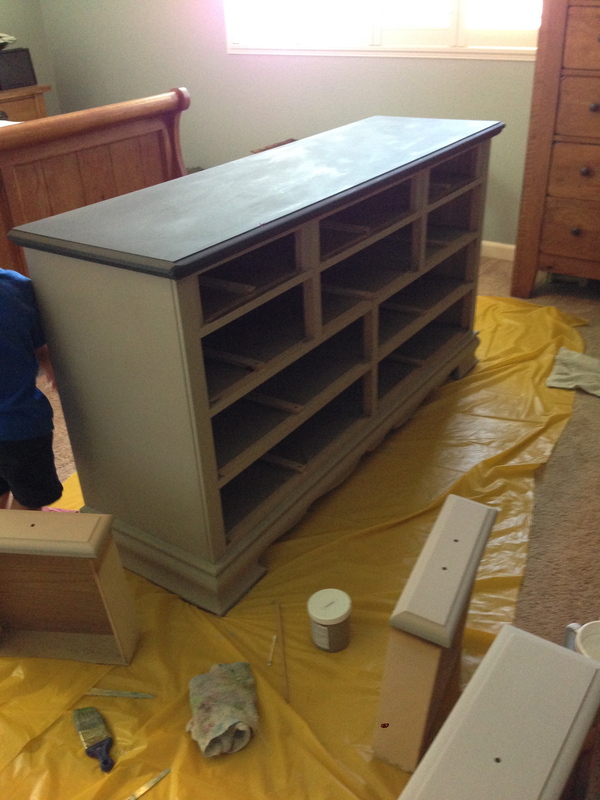 So, two weeks, two big DIY furniture redo projects, 3 boys, a hubby away and the help of two fabulous teenagers. I can’t wait to find my next steal of a deal to turn into treasure! 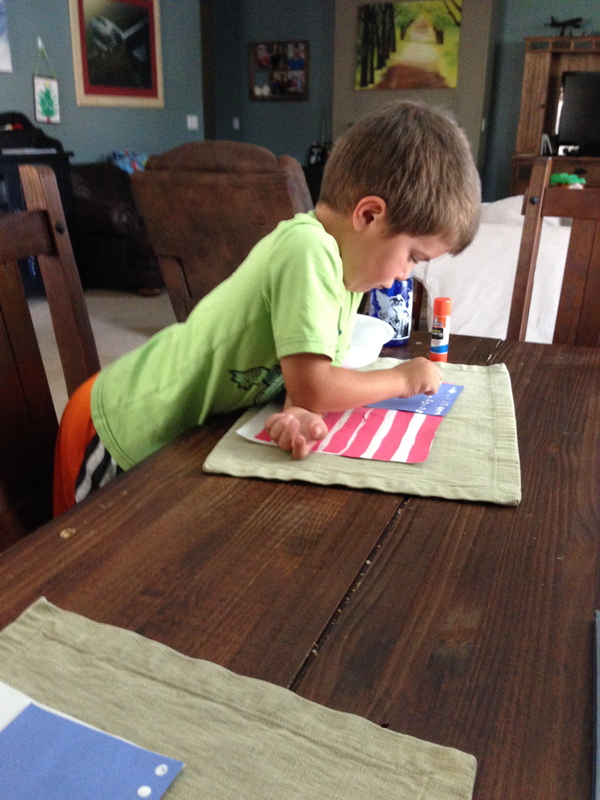 Because it’s July 4th, we’ve been reading and learning a lot about America in my house. There are so absolutely FABULOUS books out there on the subject for kids (which I’ll include in a list at the end.) We read about different symbols of America like the bald eagle, the Liberty Bell, the Statue of Liberty, and the American Flag and how they stand for freedom, hope, and independence. 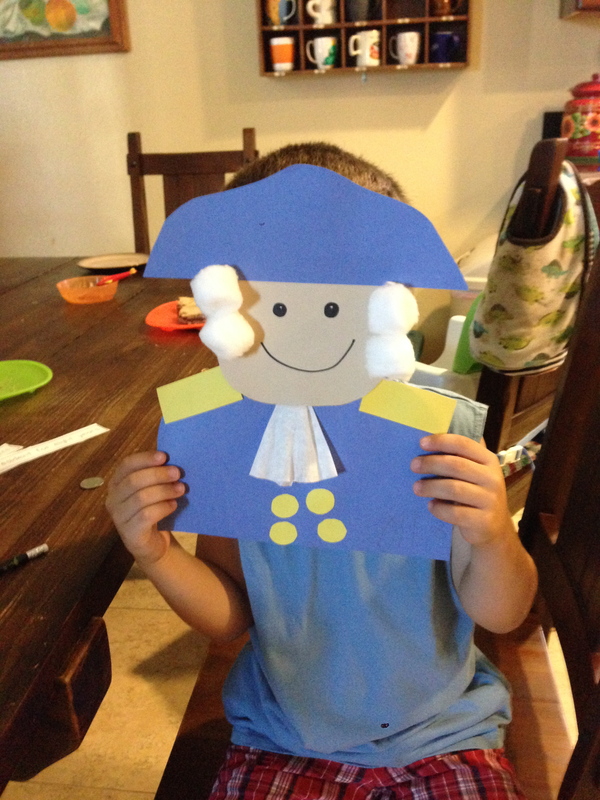 We learned about George Washington and then we had made some fun stuff. Mostly Diego and I made most of the projects, but the whole gang got in on at least one of them. Seriously, now cute is that?! 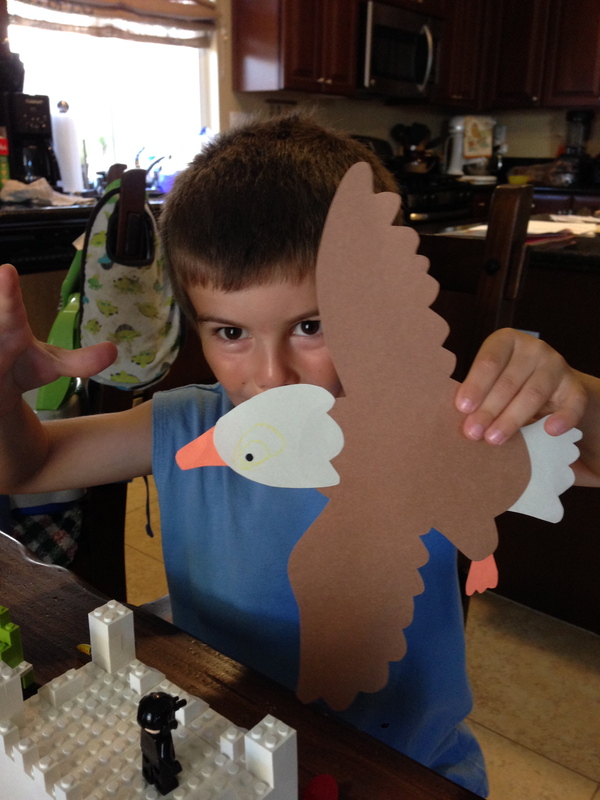 We had so much fun making GW, that we also made a bald eagle, which is quite possibly Diego’s favorite symbol of America. I love his expression–proud, excited, and trying not to smile. 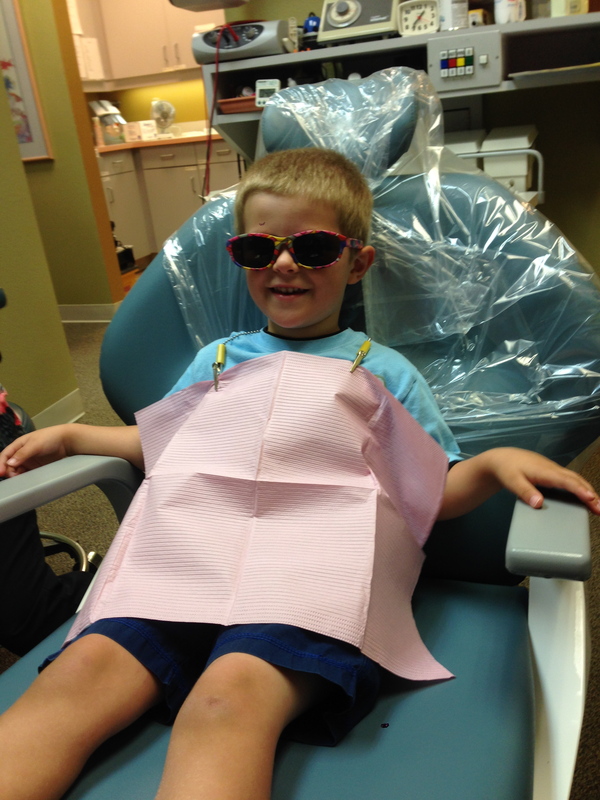 That kid cracks me up. 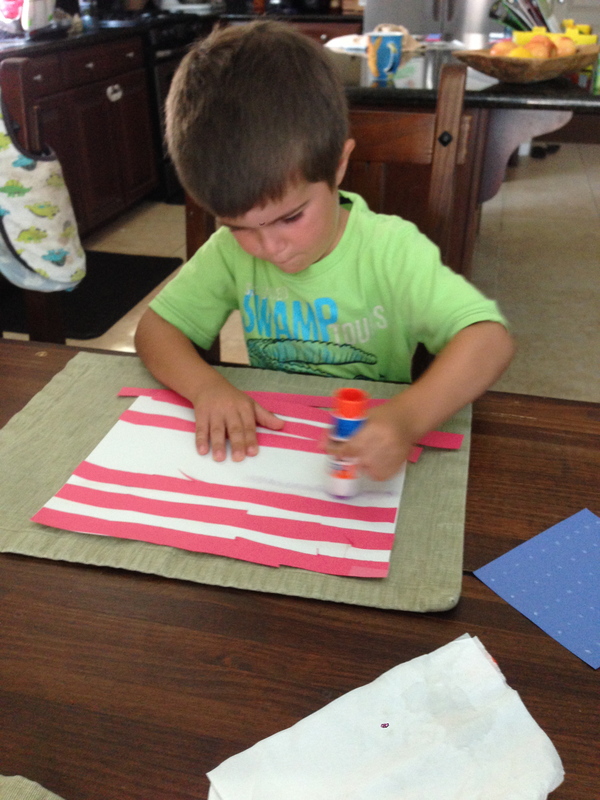 Next up we made the American flag. This was a project for the whole gang. 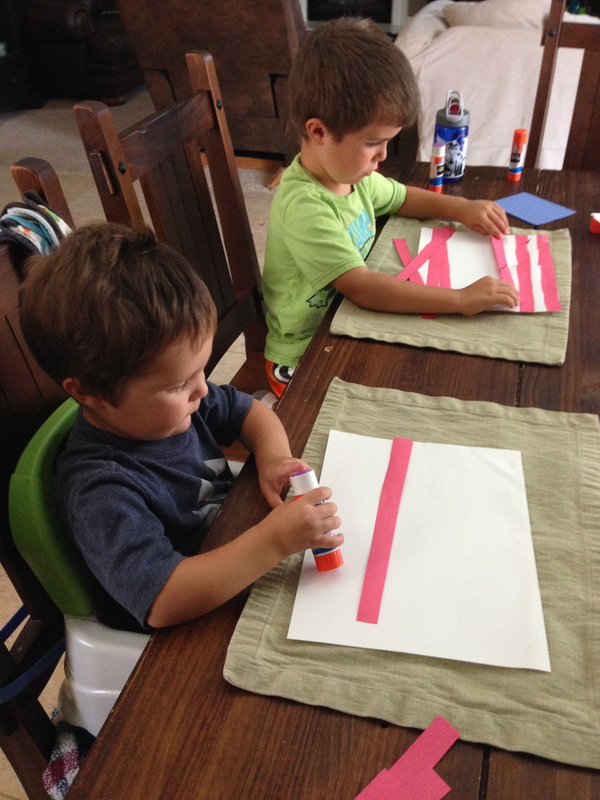 After they cut out the stripes (but not Justus, I’m not sure I’ll ever trust that boy with scissors,) we glued and glued the stripes to our paper. 13 stripes for 13 old states (or colonies) as Diego would say. Yes, I let Justus have the glue stick. Yes, he’s trying out the glue on his finger. Yes, I lost my mind. 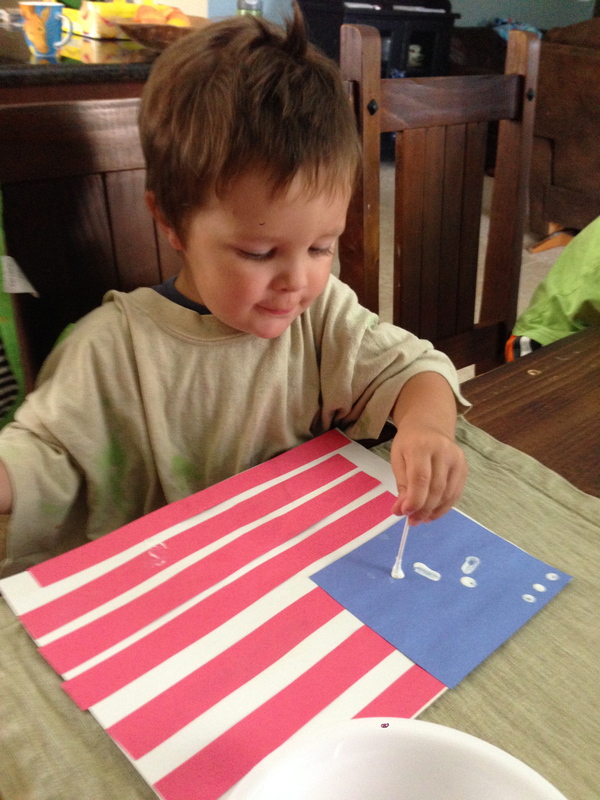 Which will be more evident in the next step: painting our “stars” using a q-tip. 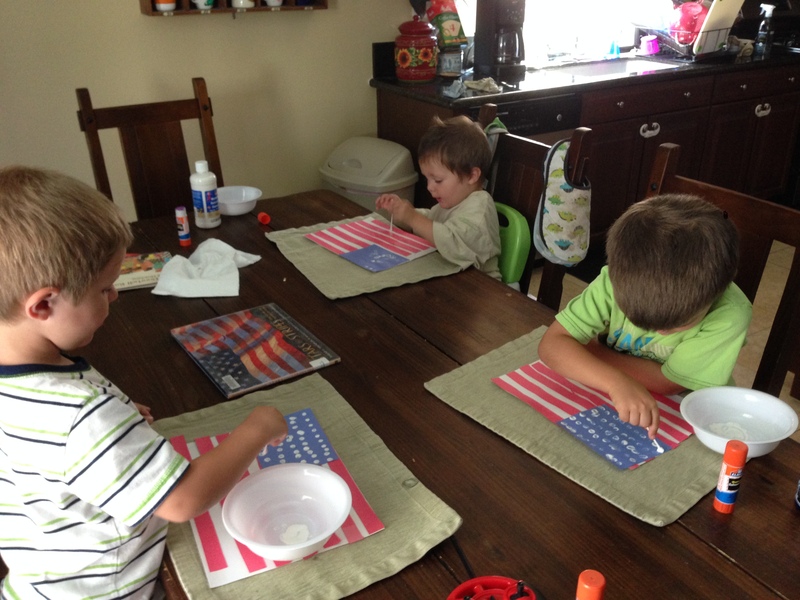 The boys worked so hard on their flags! The big boys got theirs in rows (following a guide I had done for them) and Justus sort of just free-handed it. They definitely had a blast and were so proud of their artwork. And for the first time, I’m planning on taking Diego to see fireworks (after all, you can’t watch School House Rock’s “Fireworks” and then not go see some!) 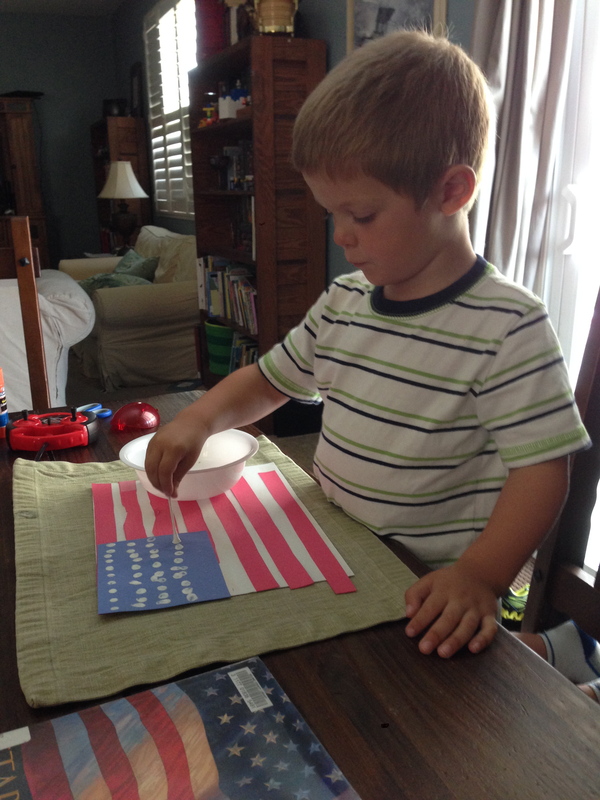 Plus a few more fun activities like fireworks painting and making red white and blue choc covered strawberries. 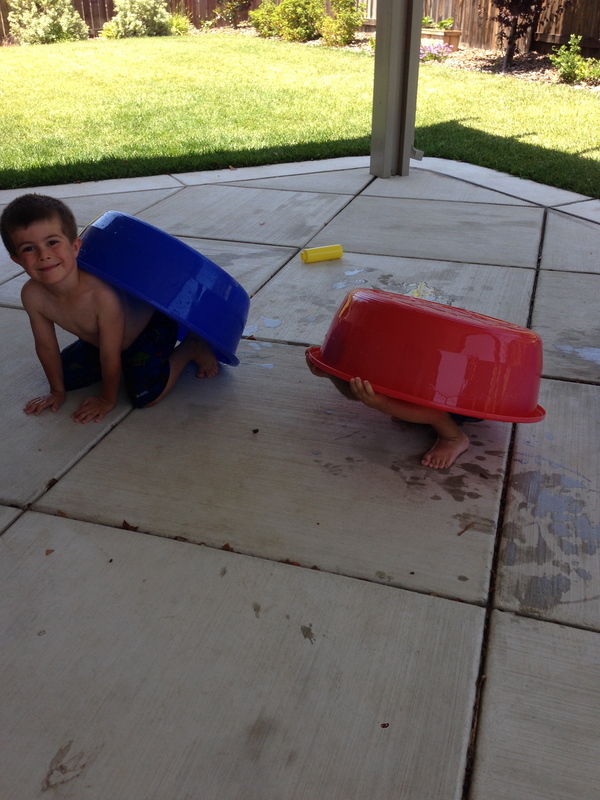 Have some fun of your own this 4th of July. Happy 4th of July! 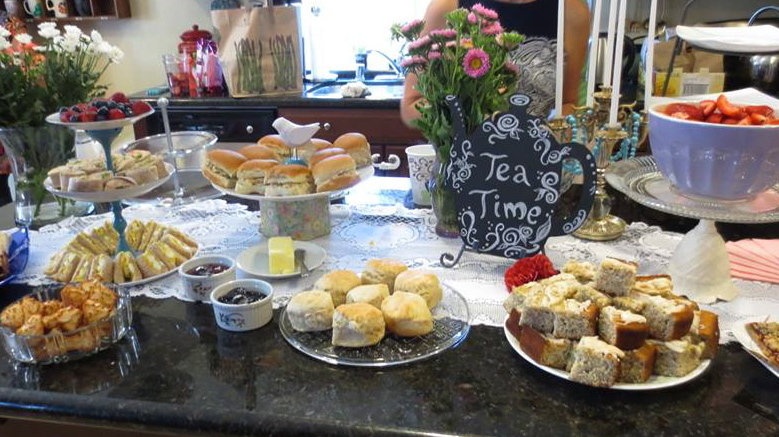 Have you been to a tea party lately? 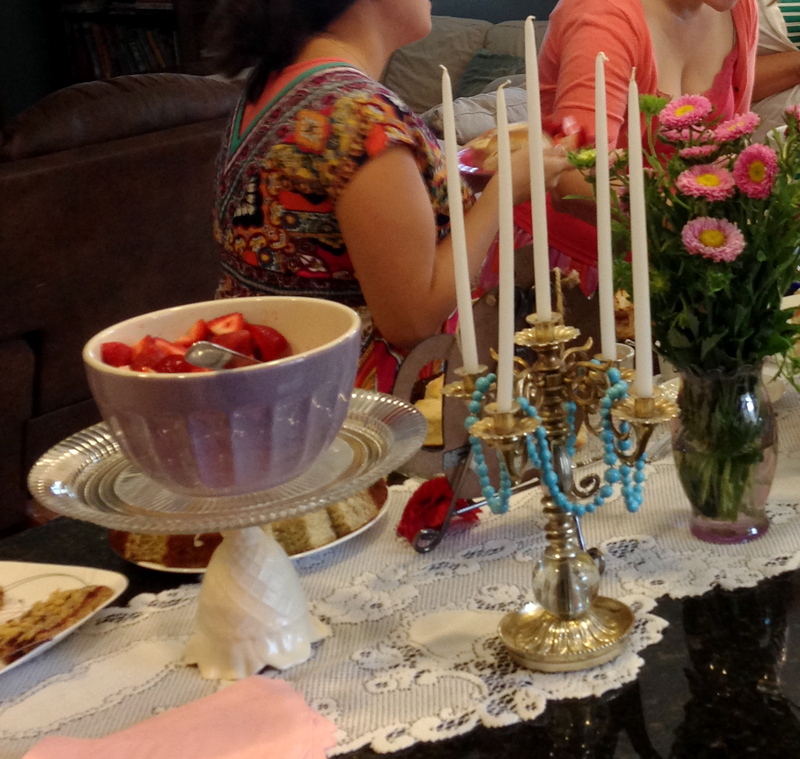 Our Bible study group ended our year with a very fancy tea party. No paper cups for us! No sweat pants allowed! 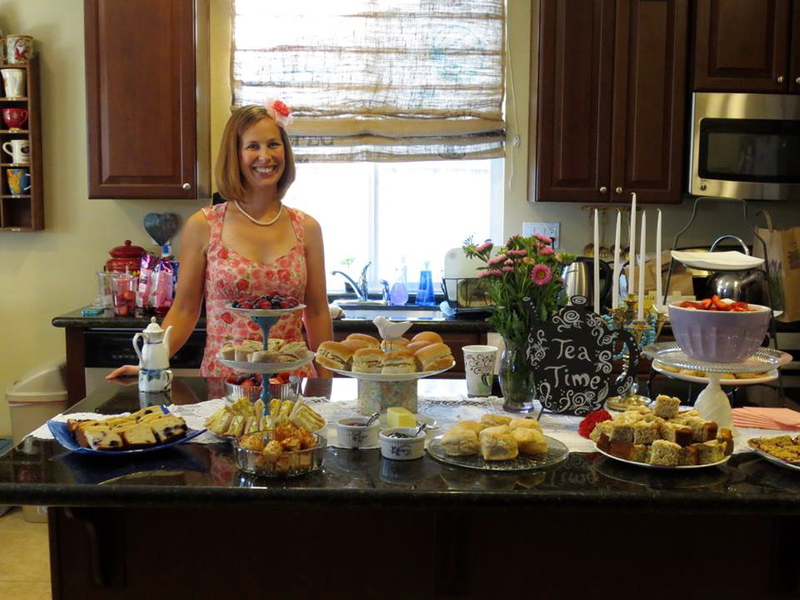 We got dressed up for each other, enjoyed a delicious potluck of mini sandwiches, cookies, fruit, and tea, and spent our time talking about God’s goodness. After a year of drawing nearer to God, digging deeper in his Word, praying for one another, rejoicing together, and enjoying close fellowship with each other, don’t you think that’s reason to get all gussied up and celebrate? A yard sale hunt produced tissue paper poofs to hang, a crocheted table runner, and a plastic tablecloth to go with the thrift store find. 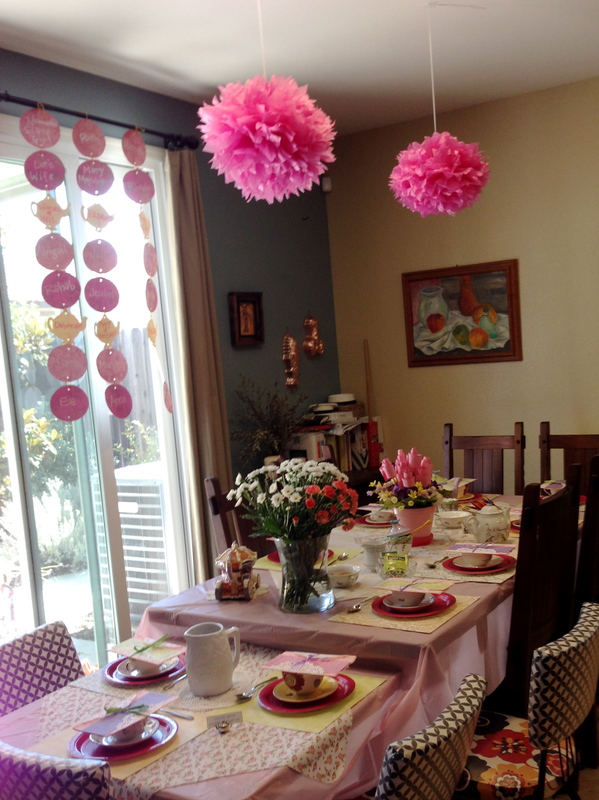 Slowly, I pieced together the dishes, decorations, and cuteness that would turn into a charming gathering. 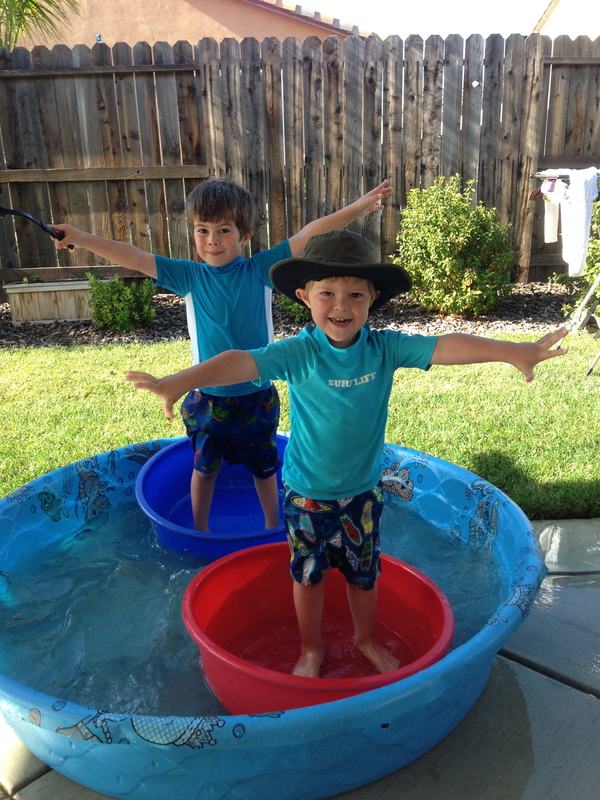 Next, I turned to pinterest for some other cheap/free ideas…and found project gold. 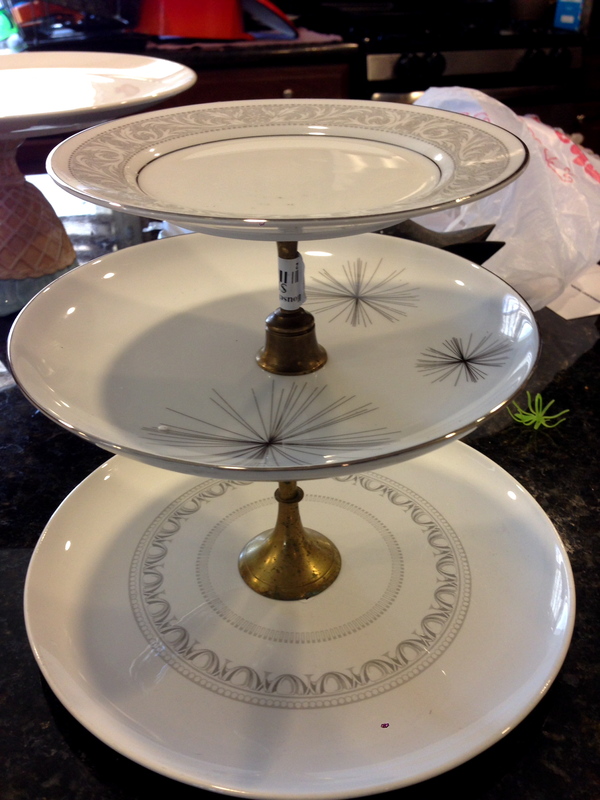 And lastly, I shopped my home for things I could repurpose for the fete and came up with some cute sophisticated finds. 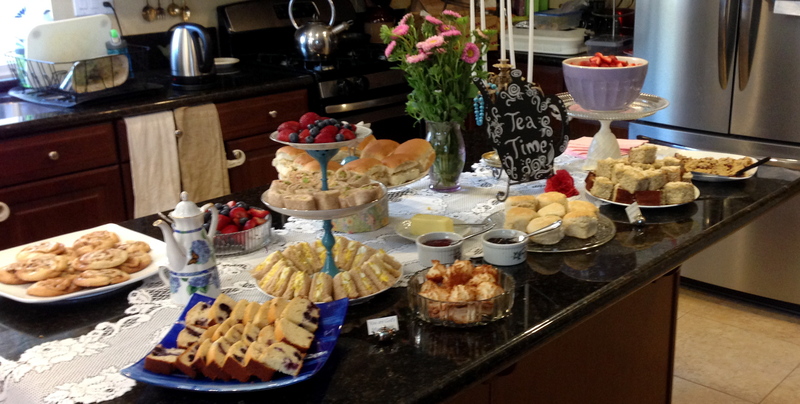 Yes, this tea party was came together quite nicely. And completely within budget proving you can get ultra fancy for pennies! I love how the bouquet looks and I love that the total cost was something like 50 cents (I already had the pot!) And even better than how it looked, I loved our discussion! It’s amazing to hear how God is moving in our lives and to remember how much God has done for us by looking over our prayer journal and seeing so many answers to prayer. As for what I found at the cute little shop called home, I found this candelabra and paired it with one of my necklaces for some extra glamour. 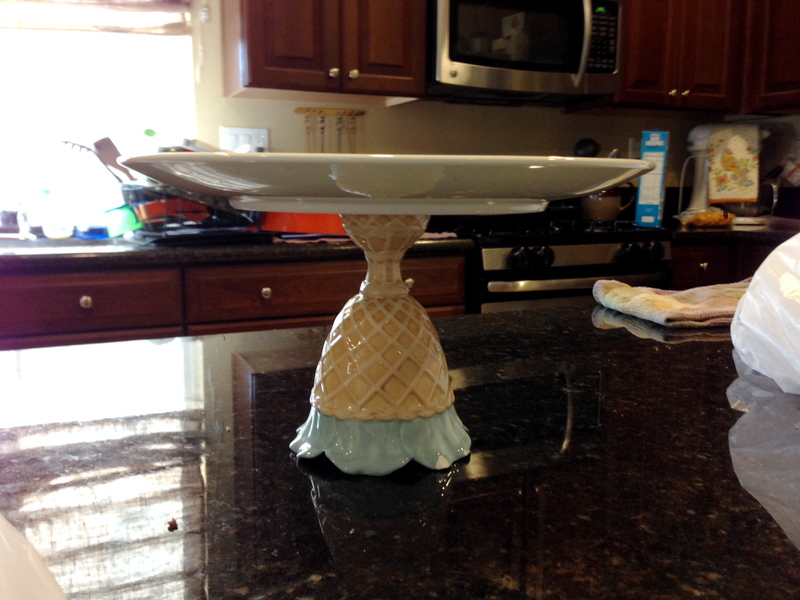 Doesn’t it look fab sitting next to my new DIY cake stand! 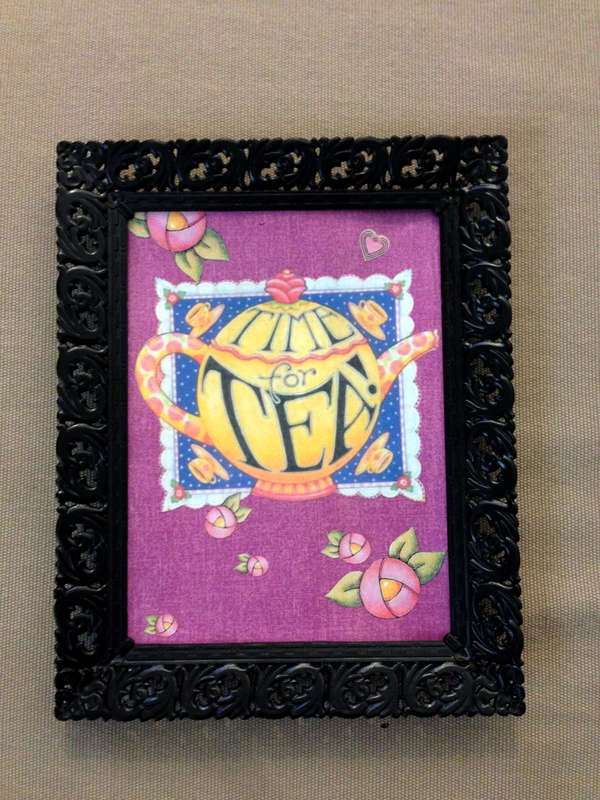 My big splurge was a teapot shaped chalkboard from Michael’s. A whole $3! But it was so perfect and adorable and I had a blast drawing on it. And there, to the left is my super inexpensive new DIY 3 tiered server! As a little party favor, I thought a new bookmark for everyone’s Bible would be sweet. So I printed a list of the women we studied on scrapbook paper I already owned and put it in this sweet little presentation, which I also saw on pinterest. Adorable! 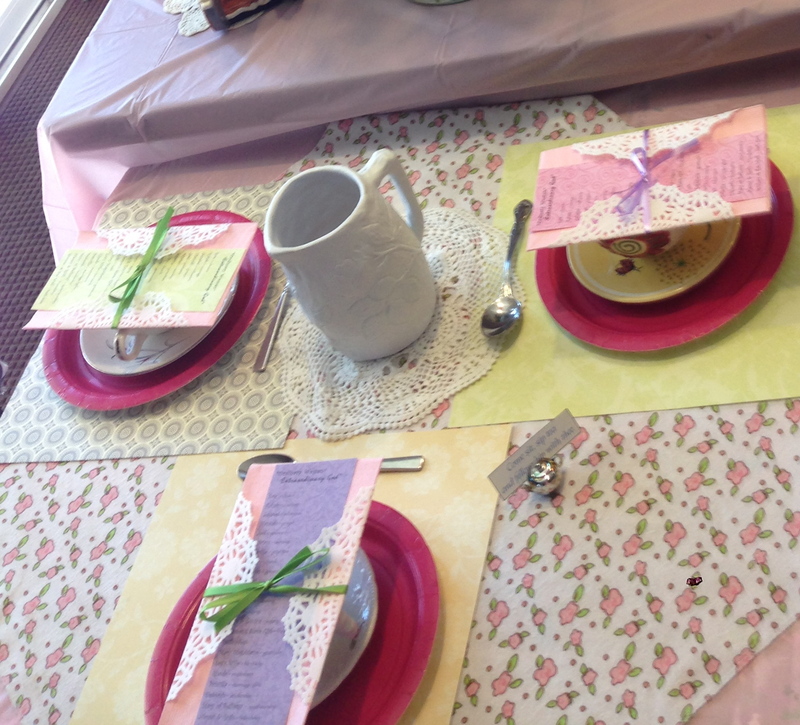 When you put it all together (including the amazing food everyone brought,) I think even Fancy Nancy would be proud. 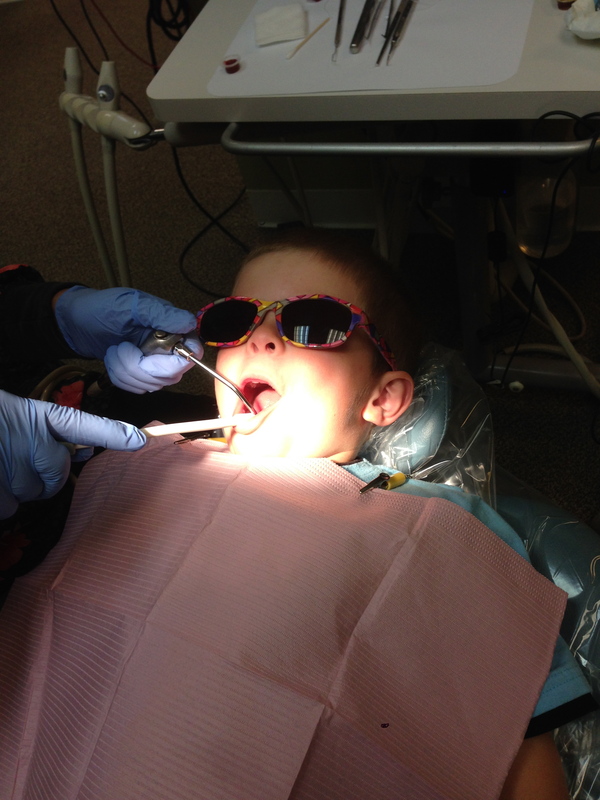 I sure did feel like Fancy Nancy that morning! 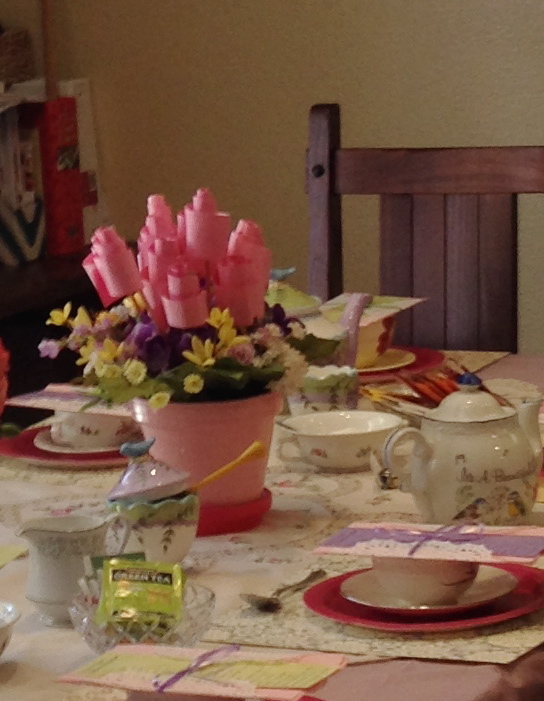 We had such a blast at our tea party, I wonder why we don’t do this more often? God is an extraordinary God and we are His beautiful creations. We should celebrate His goodness more often!